NHL News : Rumor: Dark horse emerges as possible landing spot for both Panarin and Bobrovsky. Rumor: Dark horse emerges as possible landing spot for both Panarin and Bobrovsky. It's a rather interesting turn of events when you consider that the Blue Jackets are not often a focus when it comes to major trade rumors, but this time around the Blue Jackets obviously find themselves with 2 very valuable assets in particular. 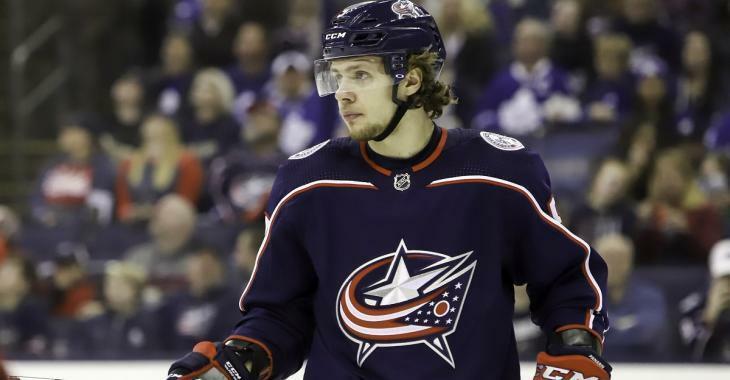 I speak of course of star forward Artemi Panarin and star goaltender Sergei Bobrovsky, both players who are expected to walk away from the team at the end of the 2018 - 2019 National Hockey League regular season or the 2019 playoffs assuming the Blue Jackets get in. In the case of Panarin there have been rumors since prior to the start of this current season that suggest he has his eyes and his heart set on joining the ranks of the New York Rangers franchise. It's unclear why Panarin would favor the Rangers given the current state of their team but it is a rumor that has persisted for so long that there has to be something to it. As for Bobrovsky there have been multiple reports suggesting that he is very unhappy with Columbus at this time and that he also intends to walk away at the end of this current season, and in his case we have seen the results of that bad blood as recently as this week. This of course has led to speculation that the Blue Jackets will seek to trade both players before the 2019 NHL trade deadline has come and gone, although that would significantly hinder the Blue Jackets' chances of finding playoff success this season. No one really knows which way the Blue Jackets will go at this time, and in fact it will likely depend on how they play from now until then, but there is now suddenly a dark horse team emerging as a landing spot for both organizations. Neither player has shown much inclination to sign with the club, and there is no shortage of talk of where they may end up. You have to wonder if they’re a package deal if Panarin and Bobrovksy may end up in Florida. That rumour is out there. An interesting situation to watch. The Blue Jackets would of course want players that would help them win right now in the playoffs if they made such a deal and you have to wonder who the Panthers would be willing to part with in order to make this deal a reality. Of course the first names that come to mind are those of start center Aleksander Barkov and veteran goaltender Roberto Luongo, but I would be genuinely surprised to see the Panthers pull the trigger on amove involving either of those players.